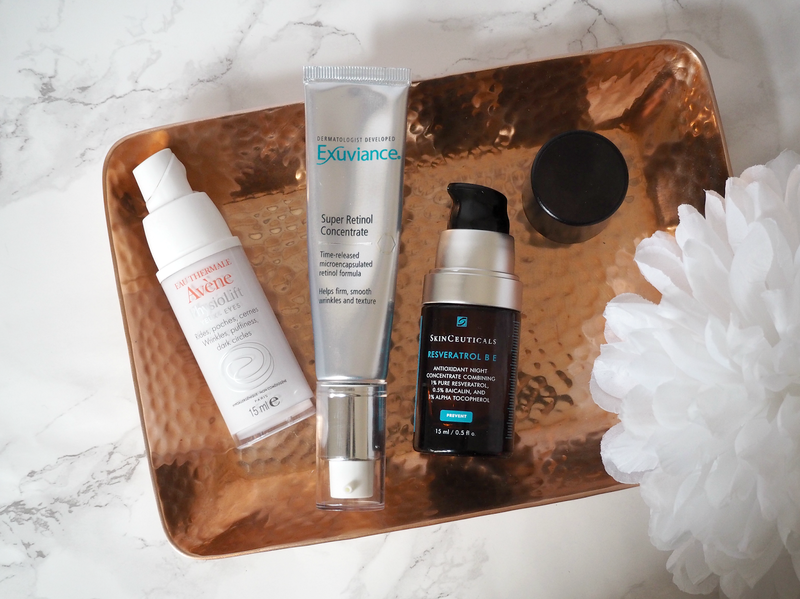 What Is Retinol & Why Do I Need It Within My ‘Anti Ageing’ Skincare Routine? Skincare innovations have a tendency to hit stores quicker than a new Instagram update, but that doesn’t necessarily mean they’re always to be believed. We may be able to run off a list of ingredients we *should* be looking for in our skincare as we age, but when it comes to fully understanding the purpose of an individual ingredient many of us struggle. Hylaronic Acid, Vitamin A, Peptides, Retinols… The latter so called ‘wonder ingredient’ is being touted as one of the most important things in beauty, promising to help create a youthful and radiant glow while minimising the appearance of fine lines and wrinkles. “Retinol signals to your body to produce collagen and new cells for firmer and smoother skin, while also reducing hyperpigmentation and clogged pores,” says New York based dermatologist Anne Chapas. But how does this ingredient actually work and what should we be looking out for in our skincare products? to overcome discolourations caused by sun damage. exfoliation; flaking is a form of irritation and never a good thing.) Although the common misconception is that Retinols thin the skin, they actually help to hamper the breakdown of collagen and thicken the deeper layer of skin where wrinkles start. Retinol also functions an antioxidant that can interrupt the free-radical damage process that causes wrinkling and other signs of aging – meaning it’s not only great to overcome damage, but to prevent it occurring in the first place. If you’re looking for something a little more affordable then Avène’s Physiolift range (from £25.00) includes rich day and night creams that contain patented Retinaldehyde (a less irritating form of Vitamin A for sensitive skin types) to stimulates cell turnover and collagen synthesis; paired with the anti-inflammatory impact of their famend thermal spring water, this is a great way of boosting your skin without irritating. It’s been designed specifically for those with sensitive skin that also want to tackle the signs of ageing, meaning it’s a universal range that you really can’t go wrong with. I like the fact the Retinols are delivered via a day, night, eye and intensive treatment cream, so you can pick the routine that works for you. Alternatively, Indeed Labs (known for their groundbreaking and innovative formulas) Retinol Reface contains three forms of Retinol to help deliver softer, smoother looking skin, while targeting the appearance of fine lines and wrinkles. At £19.99 it’s a great place to start if you’re new to Retinols and don’t want to spend too much. 1. Only buy a Retinol treatment if it is packaged in an opaque tube (preferably airtight or with a secure lid); all forms of Vitamin A break down and deteriorate when repeatedly exposed to air and light, so you’ll only be wasting your money on tubs or pots of cream that won’t do anything. 2. Start slowly. Instead of wacking it on in thick layers, apply your Retinol product three times a week or mix it with a moisturizer or facial oil. This lets your skin gradually acclimate and theoretically should prevent irritation. 3. If you apply Retinol during the day, it’s essential to follow up with an SPF. Unprotected exposure to sunlight compromises Retinol’s stability, meaning it won’t be as effective or provide the results you’re looking for. Furthermore, there’s little point counteracting the impact of sun damage if you’re just going to step out unprotected and make it worse again! I’m usually skeptical about ingredients and innovations, but I’m definitely a believer in the benefits Retinol can bring to everyone’s skincare regime. I’ve seen the positive impact for myself and will definitely be ensuring my skin gets a daily dose of Retinols for the foreseeable future. Will you? perfect timing for me. I'm looking to add a retinol to my skincare so thanks so much for the info and recommendations. About to have a look at them all now. Thank you for such an informative yet easy to follow post!! I picked up indeed labs retinol resurface not long ago, but really didn't know how to use it/ how much to apply/where in the routine to apply so it's just been sitting there! I also like the la roche posay redermic r cream which is at a similar price point to avene and I think its 0.3% strength so a good starting off point too. I've got one of those in my dressing table but have yet to test it! Glad to hear it's made an impact for you! That's definitely an expensive way to try Retinol, that's for sure! But I do love the SR products. Can I make a suggestion? As a person who suffers from blemish prone skin wanting to use retinol product to ward of signs of ageing…I found out the hard way that retinitis and salicylic treatments should not be mixed.I've had to resort to retinol on the eyes and salicylic blemish treatments on the face and be very careful with washing my hands and applying the two so they never mix.A post defining the NOT TO BE MIXED ingredients and how they might appear within an ingredients list would be super informative and perhaps a great angle for an interview with a skincare expert…. ?